Inside these pages, the world of color and creativity awaits you! There are 62 (thick) pages of beautiful pictures and inspiring quotes to color. new things, and just have a great time! Coloring books today are not just for kids! 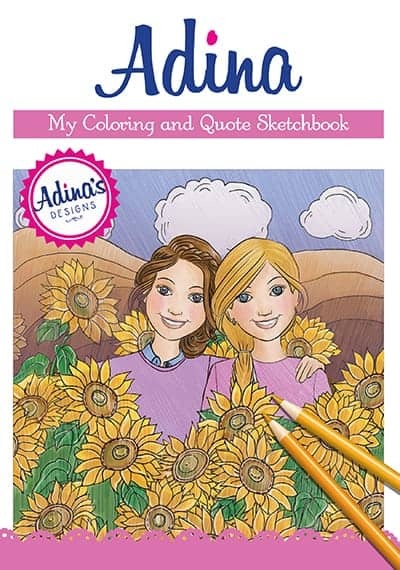 Adina: My Coloring and Quote Sketchbook is ideal for women, teens, tweens, and younger girls. Be inspired – and have fun!